This week I was contacted by a representative from www.HowToBecomePoliceOfficer.org with the announcement that the Covered Law Enforcement blog was selected as one of the top 25 (number 8 to be exact) criminal justice blogs on the web. You’ve probably noticed a number of similar awards along the footer of the website, all of which credit us with being a top site. Of course, on the surface, these awards and links are about providing information and the mutual benefit of driving traffic to our sites. But, at least in my mind, there is much more than meets the eye. Any time a person searches the internet for topics related to policing, criminal justice, how to become a police officer, or criminal justice degree programs, a number of websites appear. The likelihood that a person will encounter one of these sites, many of which pay for sponsored positions in search returns, is very high. That fact means that the likelihood also becomes high that they will be exposed to our website, and more importantly, our message. Covered Law Enforcement is a blog for Christian police officers who want to share stories of their faith. 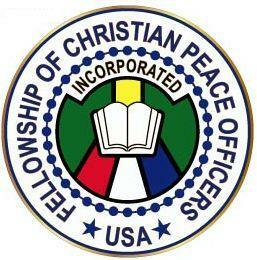 The blog’s mission is to “promote faith and solidarity among Christian law enforcement personnel and to create a unique way for witnessing of salvation through Jesus Christ.” It goes over important issues in the police force and provides ways to get through tough situations through motivational Bible verses. Covered Law Enforcement is growing, and we are increasingly being recognized as having an influential voice within the profession. Join with me in celebrating this award, and join with me in praying that many aspiring police officers will be drawn to our website where they will receive the uncompromised message of salvation through Jesus Christ! This entry was posted in General and tagged blog award, christian cops, christian police, Covered Law Enforcement, Criminal justice, Jesus Christ, law enforcement, ministry, police, police officer. Bookmark the permalink.